One of our most acknowledged and highly renowned product is oil and gas filters. Made in various sizes according to our client’s specifications, these are fabricated using supreme quality raw materials. 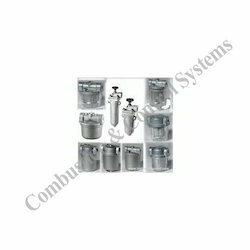 Used in various chemical and engineering sites to filter the injected gas & fluids, these products are available in various categories such as filters for burners: bentone, baltur, ecoflam, riello, weishaupt, f. B. R, lamborgini, de unigas, oilon, sizes: 3/8", 1/4", 1/2", 1" suitable for ldo, heavy oil, high pressure gas along with duplex filters. With high capacity, we offer a vast range of Oil and Gas Filters that are used for filtration of gases and oils. These products are made from quality raw materials like aluminium and steel. Our products have better flow, bags for polishing and better capacity. These products are used globally and are known for automatic self-cleaning. These products have a great demand among various clients. Duplex Filters Also We Have. 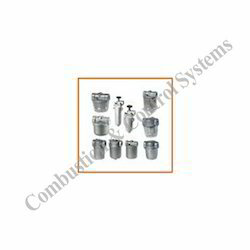 Looking for Oil and Gas Filters ?